A prevalent dietary advice in the world is to consume a balanced diet. This seems relatively easy in the modern world, where terms like "carbohydrates," "fiber," "fructose" and "omega-3 fatty acids" are part of the daily conversation about Weight Loss Foods. In recent decades, scientific research has advanced rapidly in the understanding of human nutrition, with one drawback - it has complicated the definition of a healthy diet. How can you be sure you are getting enough, but not too much, of these nutrients? Dietician Sheela Sherawat from Diet Clinic shares plenty of valuable advice. The good news is that it is actually quite easy. A balanced meal is a reflection of a diet that includes the three main groups. As part of your daily intake, the proportions are the following: a quarter of protein, a quarter of carbohydrates and a half of vegetables. Six types of nutrients are essential for healthy growth including proteins, carbohydrates, fats, vitamins, minerals, and water. Proteins, carbohydrates, and fats are known as macronutrients. "Macro" means that our body needs these nutrients in large quantities. Macronutrients provide energy that is measured as calories. Vitamins and minerals are considered micronutrients because our body only needs small amounts. Water is another essential macronutrient since the volume of water produced by the body during metabolic processes is much less than the amount of water lost daily through sweating, urine, and breathing. Foods containing fiber and/or protein prolong the feeling of satiety. This means that in the hours following the meal, we are then less tempted by foods, such as sweets, chocolates, cheese and crackers, crisps or ice cream that are not part of Weight Loss Diet. The inclusion of protein and fiber in main meals promotes dietary habits that would contribute to weight maintenance in the long term. Whole grains, fruits and vegetables, and especially their skin, are foods rich in fiber. A balanced diet is important because a growing child’s organs and tissues need adequate nutrition to mature effectively. Without a balanced diet plan, a young person is more prone to diseases, infections, fatigue. Malnourished children run the risk of problems of growth and development, poor school performance and poor eating habits can last a lifetime. Fruits – Fruits are not only a good source of nutrition but also delicious snacks. 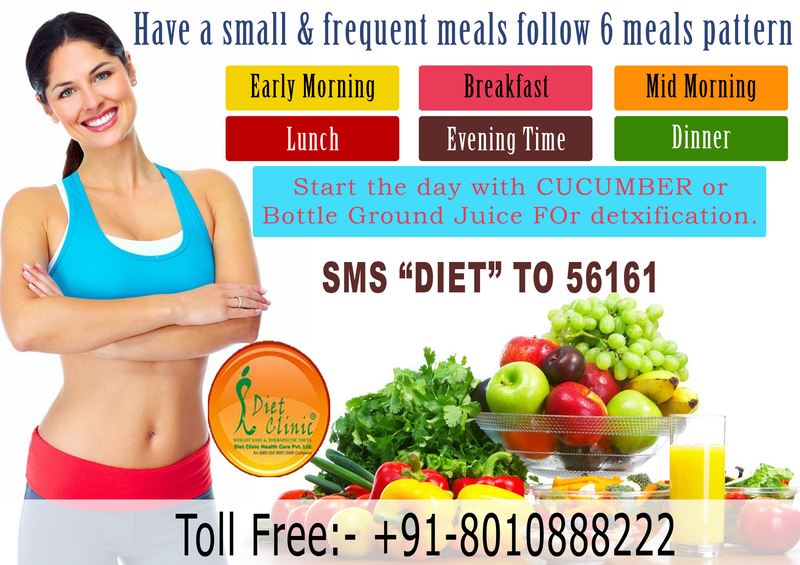 Fresh fruits provide an enormous quantity of nutrients says Best Dietitian In India. Vegetables – Vegetables are an essential source of vitamins and minerals. Green leafy vegetables usually contain the highest amount of nutrition and should be included as part of Healthy Diet Plan. Grain – Whole grains are excellent for the body. A whole grain includes the hull and the seed. They are rich in proper nutrition and vitamin. Proteins – Meat and eggs are primary sources of protein. Lean and low-fat meat such as chicken and tuna fish are excellent for health. White meat is considered especially useful for health. There has to be complete awareness about the consumption of all food groups for a growing age. The bones have to be strong and thus enough trace elements like calcium and magnesium are required in plenty. A good diet can provide all of these effortlessly if there is a basic understanding of nutrition.